Are you tired of struggling with your addiction on your own? At Unity Healing Center, we’re waiting to provide you with the tools you need to achieve your recovery goals. No matter what your situation, we’re committed to getting our clients the help they need. Don’t wait for another minute! 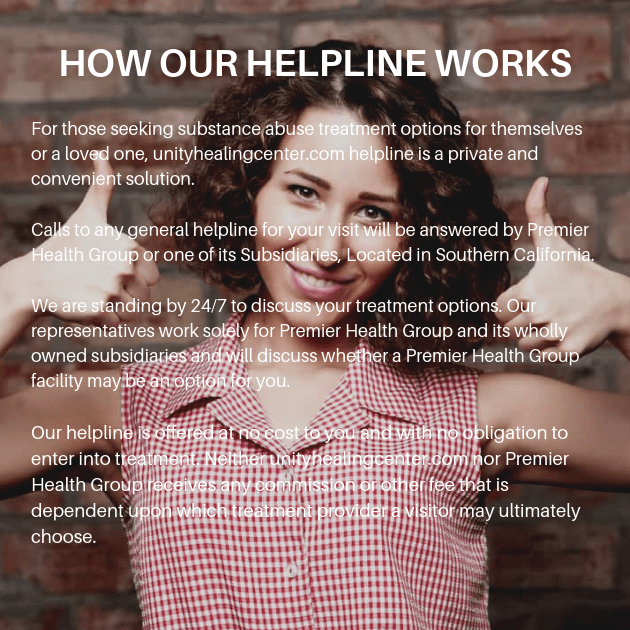 Pick up the phone and call one of our addiction specialists today. When you’re ready to face your substance abuse issues and come out on top, give us a call.